One of those traveler’s questioned was Rosemari Herrero, a 30 year old investment banker. She answered “I would love to see penguins, go horseback riding, and meet gauchos in Patagonia. 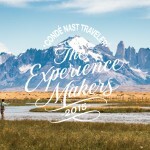 The mountains there are so beautiful.” Travel & Leisure Magazine naturally chose Knowmad Adventures to put together the logistics for this Patagonia Dream Trip, as they recently named co-founder Jordan Harvey for the second year in a row as a T+L A-List winner, expert in Chile and Argentina. This adventure includes explorations of both Argentina and Chile with activities like ice-climbing on the massive Perito Moreno Glacier or horseback riding in the infamous Torres del Paine National Park. We also added stops in both countries’ intriguing capital cities, tastings at off-the-beaten path boutique vineyards and more. Look for the journey in the South America section of the October 2014 Issue of Travel + Leisure Magazine, 50 Dream Trips and get the full details below! 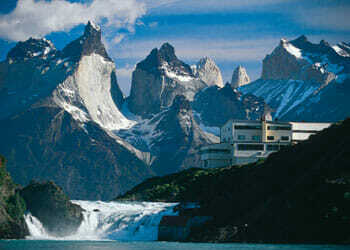 A perfect pair, this Argentina and Chile adventure trip marries two of South America’s most fascinating countries. 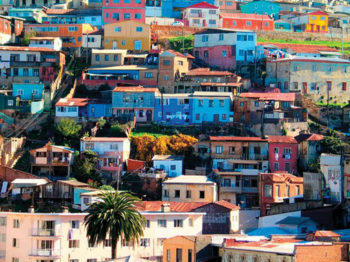 This tour is a combination of luxurious leisure and outdoor adventure featuring time in Buenos Aires, wine country, eclectic Valparaiso, and Santiago; there is a lot to love about this two-week South American dream trip. *Optional biking tour highlighting the serene countryside and vineyards of one of the worlds most distinguished wine regions. TYPE Flexible Date Private Departures with entry dates available every five days for Explora Lodge. You choose the date, your travel companions and one of our adventures. LIGHT – MODERATE TRIP Activities are flexible and can include hiking, boating, wildlife viewing, photography, horseback riding, cultural opportunities, and spa. This extensive Argentina and Chile combination itinerary is ideal for those seeking a comprehensive, dynamic, and flexible Patagonia tour that also features the best of greater Argentina and Chile. A striking juxtaposition of landscapes and settings from the urbane to the end of the world, the trip wows at every turn. Knowmad has vast knowledge and operating capacities in Argentina and Chile: this is a private trip and we are happy to modify excursions, accommodations, and the flow of the itinerary to perfectly suit your travel style and interests. Give us a call at 612-315-2894 or e-mail Jordan at jordan@knowmadadventures.com, let’s make this dream trip your reality!